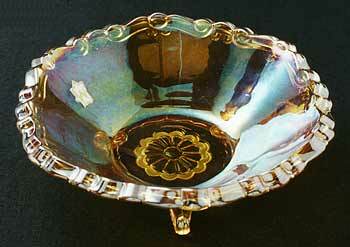 When Janet Knechtel showed this 6 1/2-inch three-footed marigold bowl at a convention in 1999, nobody had seen another like it before. It was suggested (By Dave Doty) she name it after her. It has a Westmoreland sticker.